I am using a workflow to set item level permission. But it is not working. I already used some suggestion, like break role inheritance, add role. But it is not working. I also tried it using simple rest API call in a browser console. role inheritance is breaking successfully through rest API. But when i tried to assign a new role, it is not working. Yeah, This is possible in workflow using REST API. Below are the steps which you need to follow. Step 1: Whatever REST you are writing that should be part of App Step. Step 2: As shown in screen shot you will have to write your commands in a workflow. There are some variables which you need to assign. 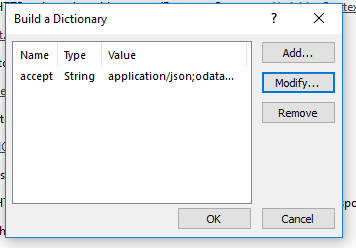 Step 3: Very first, you need to build dictionary where as variable name is ContextHeaders in aboveshown screenshot. Step 4: Next need to set API url in very next line. That API url should be something like https://YourSite/_api/contextinfo and HTTP method should be HTTP Post. 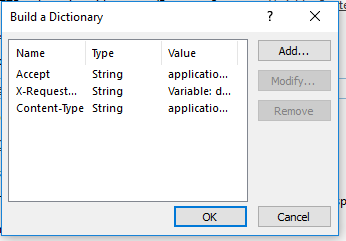 Step 6: Again you need to build your dictionary for request headers to make REST call to break inheritance. 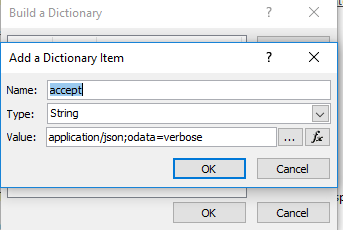 Step 7: Next you need to set variable to whom you want to give permissions after breaking the inheritance. In example shown above, we are assign some group ids to variable userIds. Step 8: Write REST to break the inheritance. Your REST should look like https://YourSite/_api/web/lists/getByTitle(%27YourListTitle%27)/items(%27[%Current Item:ID%]%27)/breakroleinheritance(copyRoleAssignments=false, clearSubscopes=true). HTTP Request Type will be HTTP POST. As we are breaking item level inheritance that's why we are going with Current Item ID. 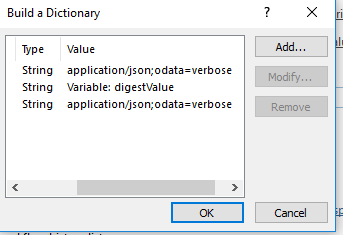 Step 9: You need to set variable roleDefinition. This role definition is for, what permission level you want to assign to particular user.group ID. This is how you can break inheritance and assign unique permissions. I hope this will help you. Still, if you have any thing, please write back. Not the answer you're looking for? Browse other questions tagged sharepoint-enterprise sharepoint-online sharepoint-designer sharepoint-server sharepoint-foundation or ask your own question. Get level permission using user login name?